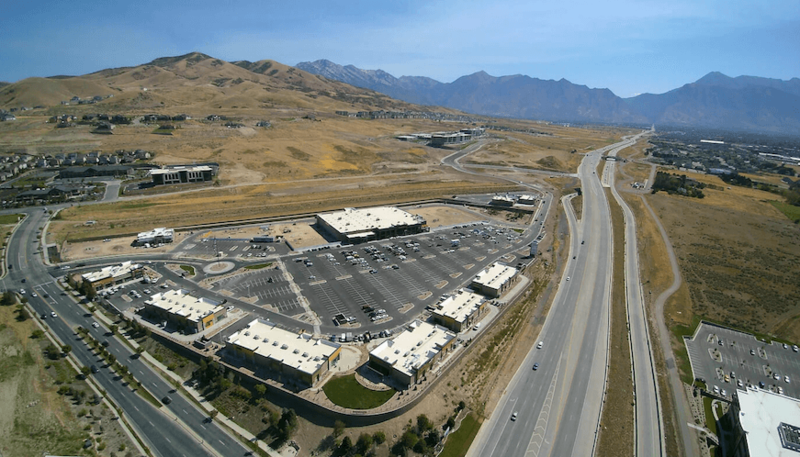 Over the past decade, Interstate 15 running between Salt Lake City and Lehi has seen huge housing and commercial developments due to its location. Nestled between Salt Lake Valley and Utah Valley, the area is attractive due to the nearby Wasatch Mountains, endless outdoor activities, and tax incentives that have encouraged several companies to relocate offices to the area. 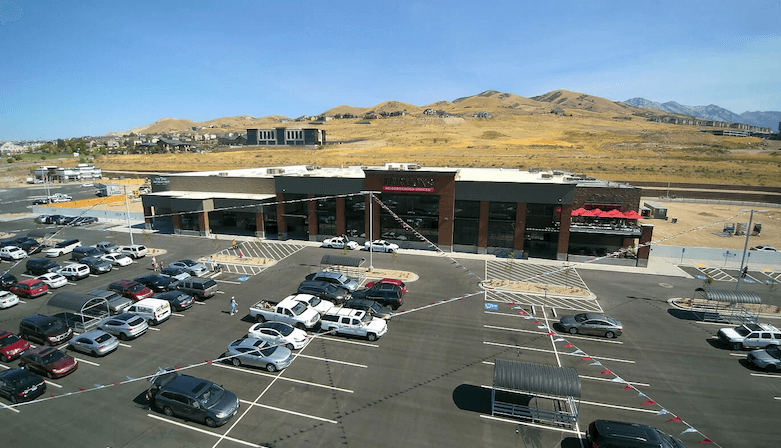 Gardner Batt, a developer in the state of Utah, planned to build the Traverse Mountain development in the region – a one million square foot mixed-use project that would include office space, retail, and hotels. The project was to include office buildings that could “stand the test of time” for 40, 50, and even 60 years, while still looking relevant, modern, and beautiful. “Our biggest obstacle was coming out of ground with nothing and showing it would be a place where corporations would want to relocate,” said Gardner Batt Managing Director Jonathan Gardner. Doug Archibald, Director of Business Development for the Building Solutions team at CRH, became involved with the project after the first phase when just one building had been completed. Doug and Jonathan had met at a golf tournament years earlier and had kept in contact. “Jonathan and I met and instantly knew we needed to be working together on his projects," Archibald said. “Gardner Batt believes in the same values that [CRH] does, especially ‘Live on the Level’ and ‘Build Relationships’." Once Doug got involved, he was challenged with helping the contractors understand all the different products and services CRH could bring to the table. Part of his job was educating owners, developers, and contractors about the breadth of products CRH has and letting them know how working with one manufacturer could save them time and money on their projects. “We can turnkey entire sites, but [developers] don’t understand it because they don’t know who CRH is,” Archibald explained. On Traverse Mountain and similar developments, CRH is able to get involved early with the project during the planning process and address any concerns or goals the project owner may have. Schedule is often a large concern, and having a manufacturer involved early who has a wide-range of products available can help achieve everyone’s goals. Often referred to as Early Supplier Involvement (ESI), the goal is to create a better executed project since product manufacturers such as CRH often have the most knowledge about what is possible with a product come production time. Additionally, Doug helped with coordination between the general contractor, Big-D Construction, and Reynolds Excavation, A CRH Company. He was able to guide numerous players in the same direction regarding cost and schedule. 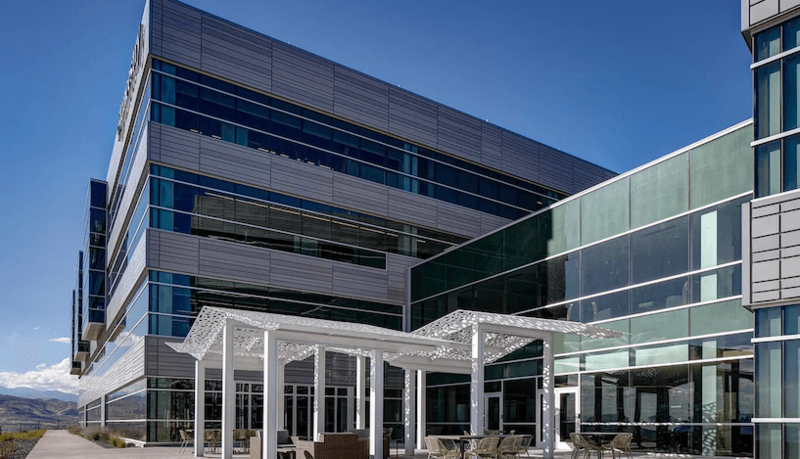 By working with the Building Solutions team, Gardner Batt and Big-D Construction benefited by having a single-point of contact from early in the design stage through construction. Having Doug available to answer questions and help with innovative ideas made it easier for them as they worked through the bidding process. As of February 2018, the Traverse Mountain development is still under construction. The next office building is expected to break ground in the summer of 2018 with a completion in Fall of 2019, with the potential for two more buildings on the site. “Having the relationship and having them at the table with us from the beginning – even before the job’s been awarded – has been extremely beneficial for us,” Gardner said. Learn more about how CRH can help you find time and money saving solutions for your next project.